In the banking industry, keeping your place in a competitive market, improving customer experience, meeting legislation requirements, and reducing costs are the main challenges. Making the switch to digital banking is required to overcome these challenges. A digital banking platform is the foundation of every digital bank. On this page, you will discover more about what digital banking platforms are, how you can choose the right platform for your business, and the characteristics of a digital banking platform vendor. What is a digital banking platform? A digital banking platform enables banks to bring together new and existing processes as a means of offering the innovative digital products and services that are critical to retaining and attracting customers in an increasingly competitive market. Supporting open, unified and multichannel integration is an essential function because it enables you to focus synergies across all channels. Digital banking platforms need to provide a first-class customer experience by letting customers manage their personal details, 24/7. A future-proof platform should also be capable of managing, visualizing, and logging your banking processes and handling customer onboarding, product or service maintenance, and compliance — all in one place. We believe a digital banking platform with a three-layer architecture is the most effective way to build a future-proof digital bank. It is more than just focusing on what the customers see. You need a platform that digitizes the front, mid and back layers — or as we describe them the presentation layer, the client and orchestration layer, and the product layer. You can’t provide exceptional customer experience if you can not leverage that technology to innovate and ultimately improve business performance. Many banks have multiple back-ends for different types of products, which makes it difficult to achieve a single view of the customer and to provide them with a single view of all their accounts. A true digital core banking system takes this process a stage further by using APIs. At the client and orchestration layer these interfaces unlock the potential of the fintech world, enabling customers to make use of providers developing niche services. Connectivity to any (legacy) core banking system to provide true agility and responsiveness towards the market. Set-up by configuration, by using pre configured components for banking processes, banking data and products. A broad range of capabilities to enable seamless customer intimacy, such as business process management, customer relationship management, document management, payments, etc. Compliance with regulatory requirements like PSD2 and GDPR. OPEX reduction by automating processes. It may sound easy using a digital banking platform to build a digital bank but in practice it is very complex. What is the right digital banking platform for your bank? What platform meets your needs and demands? 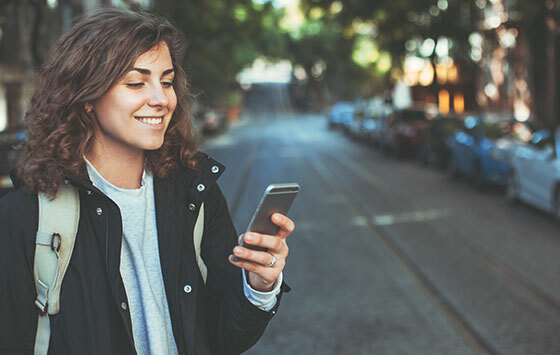 We have listed the key features of a digital banking platform above, but what additional factors are important to keep in mind when determining which platform is best for you. How long does it take before the platform is completely up and running? This is an important parameter because you want to exploit new business opportunities and reach business goals as soon as possible. Set-up by configuration is key in a fast time to market strategy. Open APIs are important to provide products and services — internal and external — to your customers. The possibility to connect to these APIs and integrate future developments is important to have a future-proof banking platform. Not every available digital banking platform has full focus on banking — providing an innovative solution tailored for the banking industry. However, a platform that has been developed and improved with banks and their challenges in mind can most likely better help you to transform into the digital bank you want to be. What is the architecture of the digital banking platform? Does it enable seamless customer intimacy, separate client and product data, and allow connectivity with existing legacy systems? This parameter will be no surprise. Costs will always play a role in the decision-making process. Several banks have achieved up to 60% OPEX reduction after the implementation of a digital banking platform. 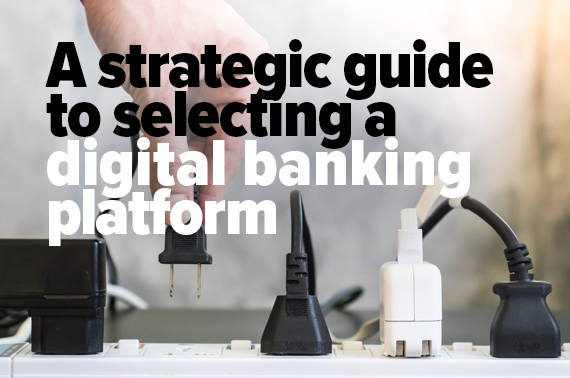 Discover what is essential in choosing a platform that meets your long-term strategy and ensures the viability of your bank. Selecting the right platform is key, but the right platform provider is also important in determining which solution future-proofs your bank. Can the selected vendor provide the support you need to implement the digital banking platform and fully adapt to it? Do they show true partnership? We believe that the following elements are important for banks in their decision-making process to ensure that the right digital banking platform and provider are selected. If the vendor offers a sandbox environment of the digital banking platform, you can test and experience every aspect before you make a decision. The sandbox replicates at least the minimal functionality needed to accurately test and experience the platform. This supports you in making the right choice for a digital banking platform that best suits your business model. Does the vendor also offer the opportunity to see and experience how a specific element of the digital banking platform works through a proof-of-concept to demonstrate its feasibility? Is there an opportunity to create a pilot where demarcated functionality is built especially for you? This helps you to determine if the platform has all the functionalities and possibilities you need to achieve your goals, and you learn during this time how the platform provider operates on a daily base. A digital banking platform is a complex solution involving sophisticated technology. A valuable digital banking platform vendor also distinguishes itself through a cooperative way of working, a human approach, contributing ideas, customer intimacy, and in-depth banking and technical knowledge. 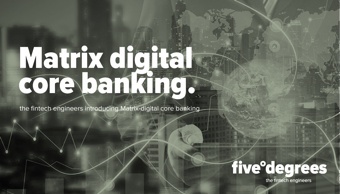 Want to learn more about Matrix, our next-generation digital banking platform and how it helps you become a true digital bank?